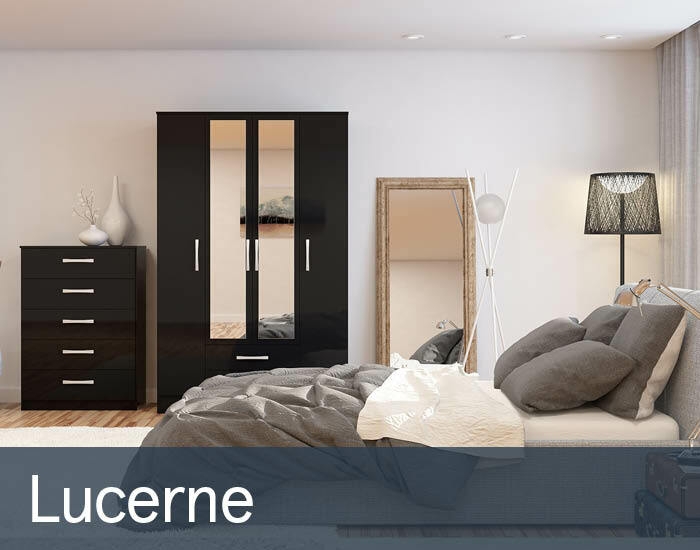 Lucerne is a versatile collection of stylish contemporary bedroom furniture that offers attractive and practical storage solutions. Engineered from a resilient MDF frame in a variety of high quality foil finishes. Each piece is available in a selection of attractive finishes to complement the rest of your décor, including: high gloss black and white, walnut and cream. Sophisticated mirrored doors and sleek silver metal handles complete the look.